We are so happy to be hosting an ‘offsite event’ here at San Diego Comic Con, and can’t wait to party like Hobbits and Dwarves with you all. So here are a few fast little facts you all need to know about the party. 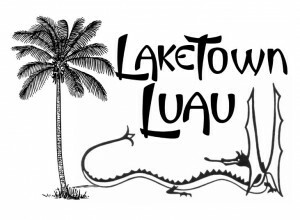 1) The Laketown Luau is located at the Kona Kai resort and runs from 7pm to 10pm. 1551 Shelter Island drive, San Diego, CA 92106. 2) The Kona Kai is on the TEAL shuttle route, which takes about 30 minutes drive time, each direction. Or you can drive there in about 20 minutes, just take N. Harbor up past the airport, turning left on either Scott road or Rosecrans, the left again onto Shelter Island drive, with the Kona Kai being the last hotel on the island. 3) We are Sold Out. If you did not buy tickets on the Eventbrite page, or get an email from me (Garfeimao), you are not on the guest list. There will be no additional ticket sales at the door beyond those who have received an email from me. The one exception is a contest we are currently running on our Facebook page. Simply leave a comment on the post regarding our newest sponsor, Jens Hansen Ringmaker, and a winner will be chosen and contacted shortly after Noon. They are hosting a complimentary Photo Booth at the party, but were unable to actually attend the party, so they wanted to offer you, the Fans, their tickets. You must either be in San Diego, or able to get here in a rather short period of time in order to take advantage of these tickets. 4) There will be games and contests and prizes, lots of prizes. Everyone will walk out of the party with something, maybe several somethings. Of course, you have to play the games and enter the contest to win the good stuff. Games include: Golfimbul (Goblin head Golf, with a baseball bat), Pin the Black Arrow on the Dragon (try and pin the Dragon in the heart), The Hula costume contest (see below), and there may be a few other little games tossed in for good measure. There is also a Tiki Piñata and the Photo Booth, so lots of fun and games to be had by young and old. This is a Family Friendly event. 6) Our Sponsors – This party absolutely would not have happened if a few of our friends had not stepped in to sponsor and support us. 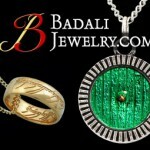 In addition to the aforementioned Jens Hansen Ringmaker as a Sponsor, we are also Supported by our long time friends, Badali Jewelry, who have been with TheOneRing.net since the very beginning. Our Co-hosting Sponsor for the party are the good folks over at WETA Workshop . They are graciously bringing several artists and numerous prizes to the event, you are sure to be blown away by some of the items prizes WETA is bringing with them. 7) Autographs – Don’t do it. This is a party, if any cast or crew should show up, be mindful of this fact and just chat, laugh with, and in general have fun with our special guests. Don’t be snapping photos without asking permission first, especially if using a flash. This statement is not an acknowledgment that any special guest will attend, just that it might happen and we’d appreciate you being respectful of this casual atmosphere.